You are not the first to say that lol. If people are only getting "vibes" from it and not "stolen," then I don't mind. It just means people know what games inspire me! Yeah, don't I know it. I also have a bit of trouble with flesh tones in general. I know it's not perfect, but I can't stay working on it forever. It's just important to remind myself this is better than what I was doing a year ago. You also have a good, finished thing, which is better than trying endlessly for a "perfect" thing. Mhm. I'm only concerned that there might not be enough in it. Like it could use more environments and character designs and so on. But what specifically it's lacking, as in, what more employers would like to see, I can only find out at the con. Getting strong Zelda vibes regardless. They're very Moblin-like. 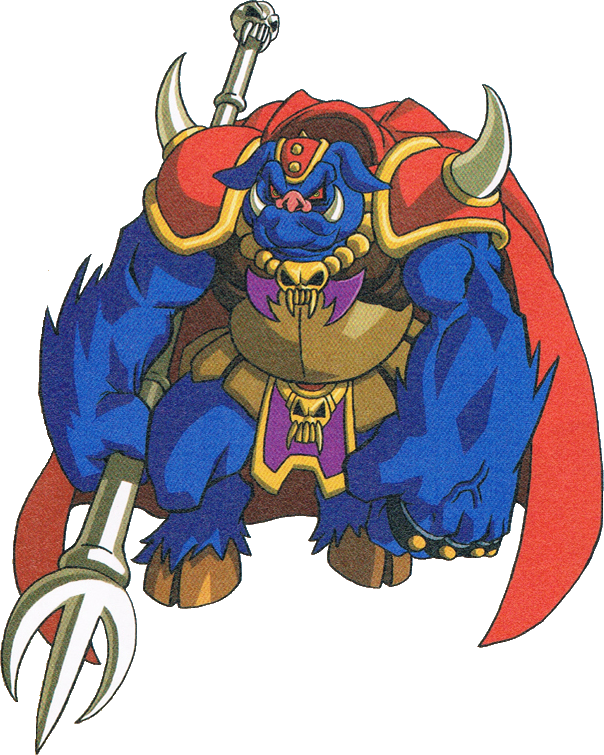 The king blue enemy could be Ganon.